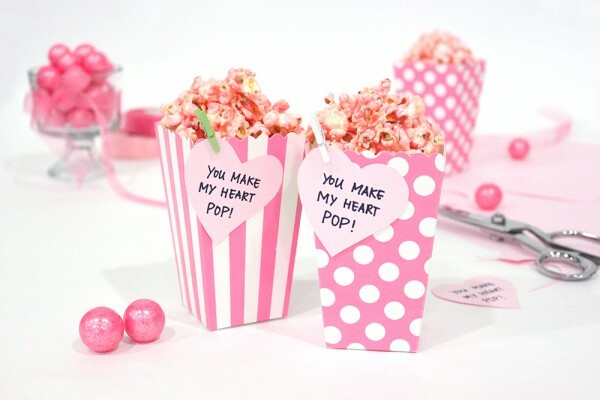 Valentines Day is almost here, and with that in mind, we’ve come up with the most adorable (and not to mention tastiest) DIY valentine! 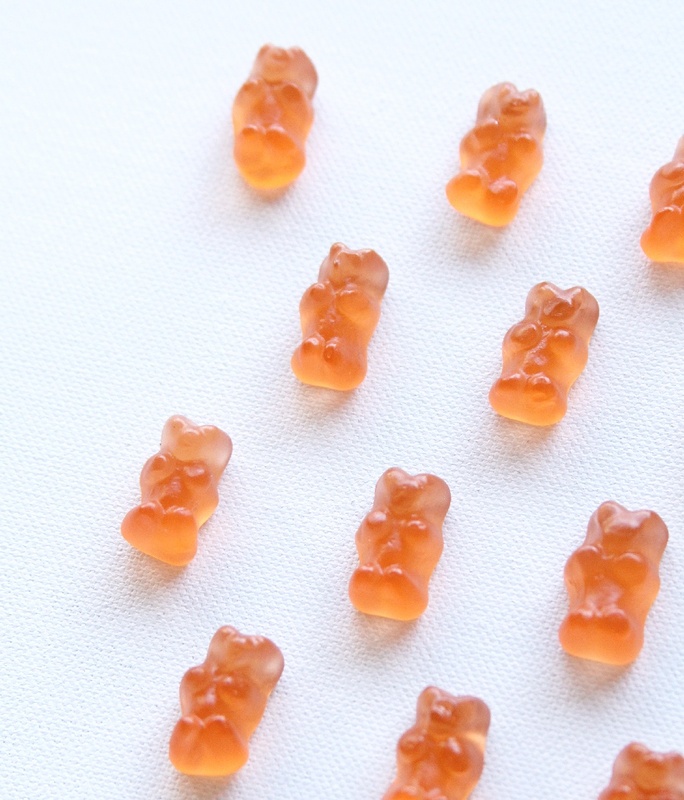 If you haven’t already — it’s time to get your hands on a helping of champagne gummy bears. 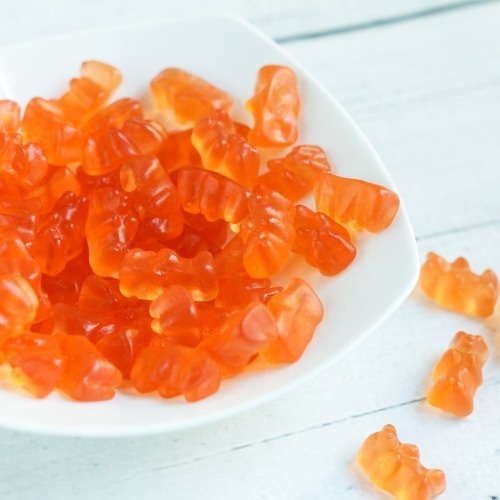 Infused with just the right hint of bubbly flavor, these grown-up gummies are incredibly tasty and make just the right treat to hand out to loved ones this Valentine’s Day. Get the details of this sweet idea below. 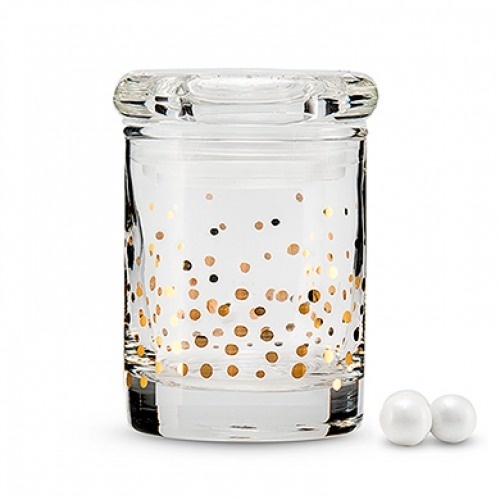 Don’t the gold foil dots on the jar remind you of champagne bubbles? 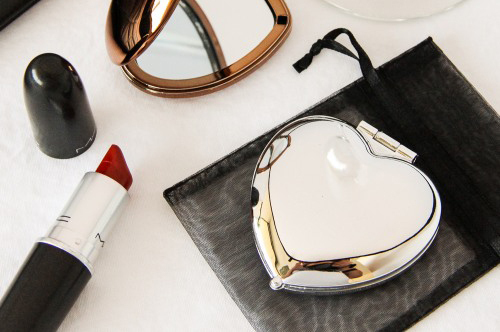 We knew it would make the perfect packaging for this project! 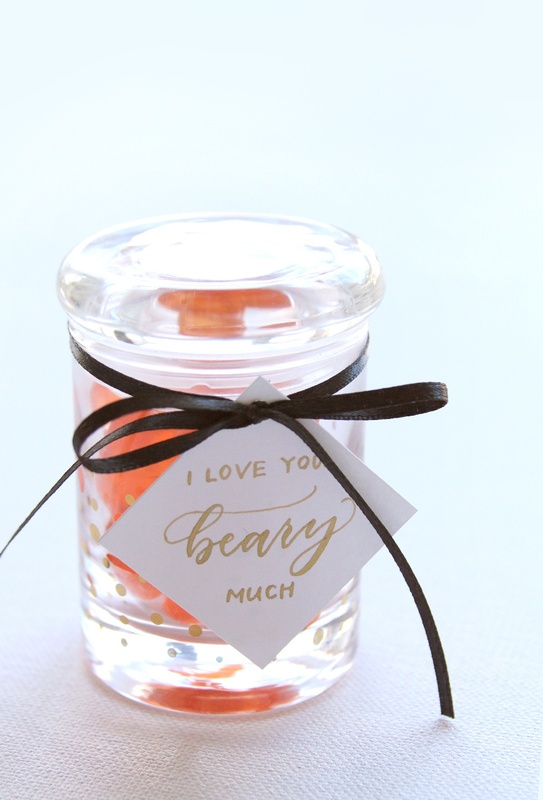 To make this DIY valentine come to life, all you have to do is place a handful of champagne gummy bears inside each jar, top with the lid, and tie a tag around the top of the jar using ribbon. 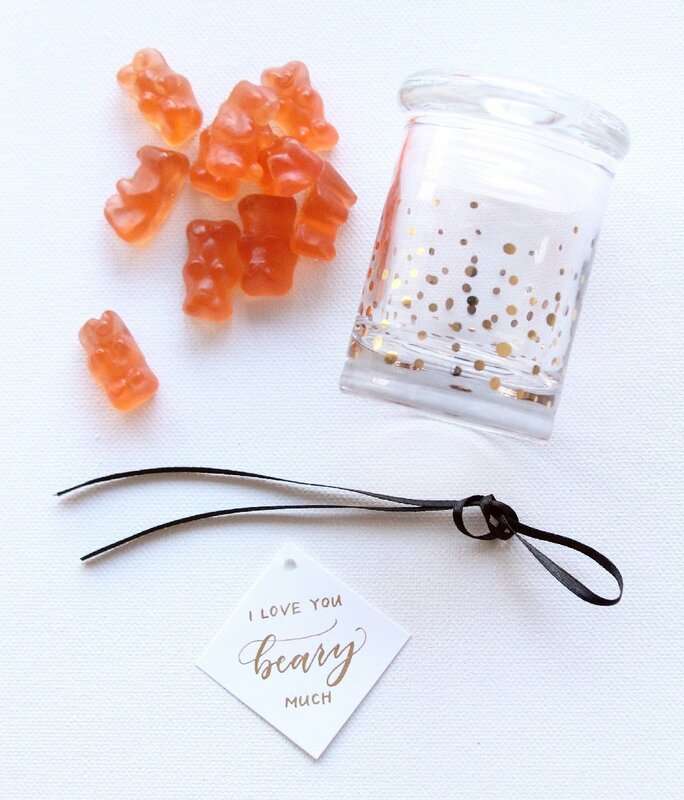 We decided to write “I love you beary much” on our tag — the perfect punny love note for this project. Once you’ve tied your tag around the gummy-filled jar you’re all set! Simply hand out to your valentines and don’t forget to save some champagne gummy bears for yourself, too. What are your plans for Valentines Day? Will you be making valentines for your friends this year?